Global Positioning System (GPS) is a global navigation system made up of 24 satellites, and primarily funded by the United States department of Defense. The system which was initially made for military use, is now used in many civilian use cases. A GPS tracking system is used to find out the exact location of where something or someone is. Some use cases include tracking the path of vehicles such as delivery trucks, or tracking the location of kids by parents. GPS provides signals which is processed by a receiver. The receiver is able to use these signals not only to determine exact location, but additional information such as velocity and time. There are 24 operational satellites in space and 3 standby units. The distance between that location and each satellite. Passive GPS tracking system: This system will record the location and store it in the memory of the black box. Typically this information can be downloaded later on from the memory card in the device, or wirelessly at pre-defined locations. 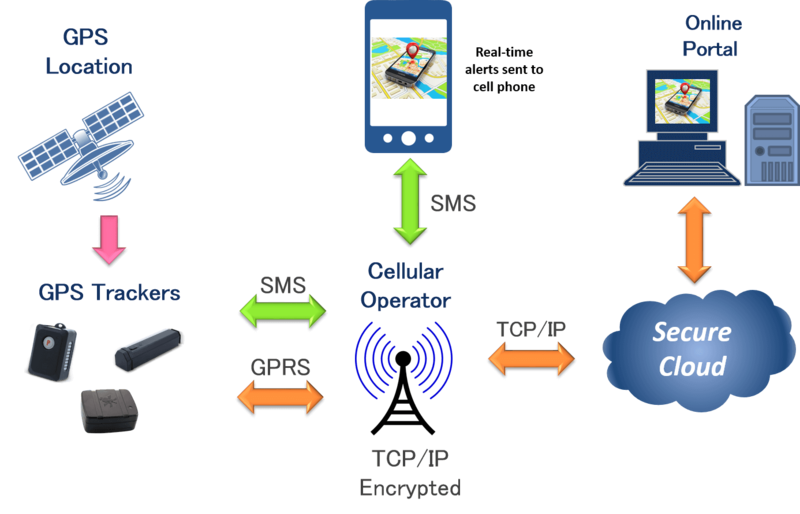 Active GPS tracking system: This is a real-time tracking system and information is sent to a cloud server. JA Security vehicle GPS trackers are active systems that send out data real time to an online portal and mobile app. Click here for a GPS Tracking System for Vehicles.